A must have item for a new baby is a car seat. But with so many to choose from how do you decide which one is for you. 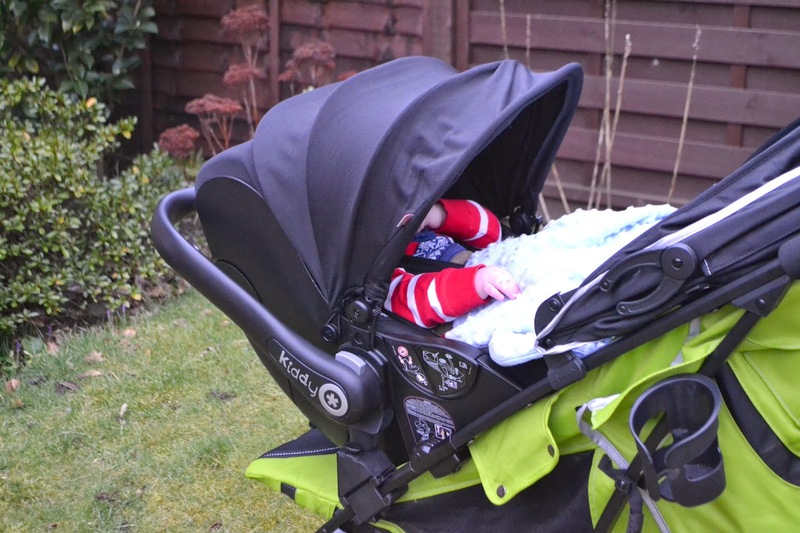 Over the past couple of months we have been testing out the Kiddy Evo-Lunafix. The evo-lunafix is "setting new standards for infant carriers. 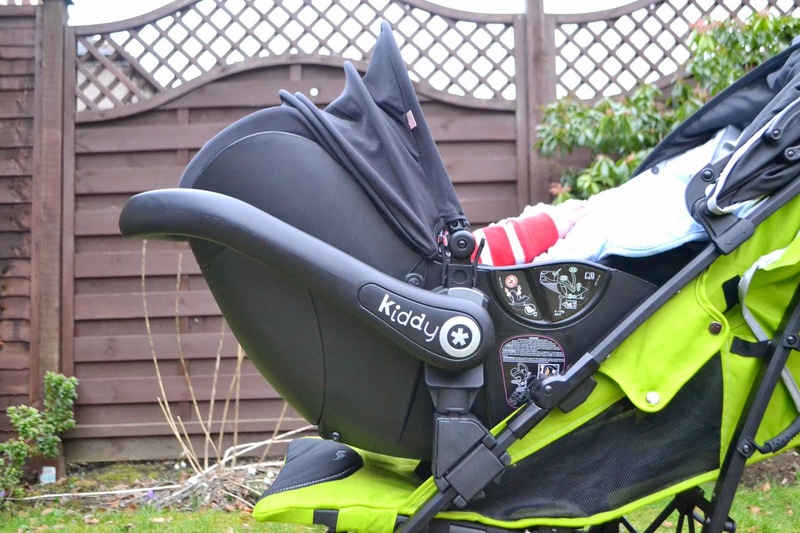 In conjunction with the Kiddy Isofixbase2, the Evo Lunafix from Kiddy can be moved into an ergonomic lie-flat position even when travelling by car. Newborns and infants can therefore peacefully lie back and relax no matter how long the journey. This has been confirmed by numerous midwives and paediatricians, as well as the experts from the AGR (Aktion Gesunder Rücken e.V.). For maximum body support and breathability!" In regular car seats your baby shouldn't be in them for hours at a time because of the position. It is actually quite bad for their spine. The kiddy evo-lunafix solves this problem. You wouldn't leave your baby in a car seat for hours on end anyway but on long trips having a car seat that lays down is a big bonus. 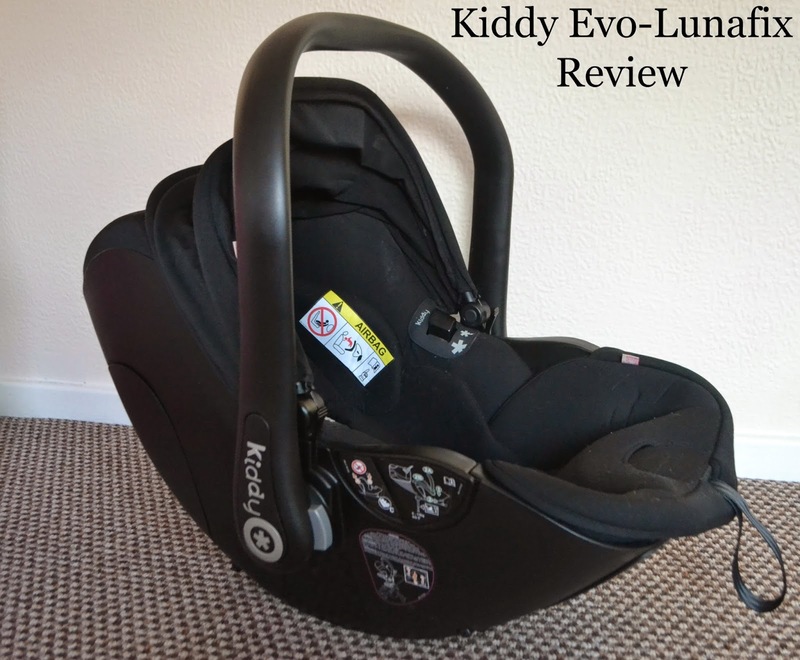 The kiddy evo-lunafix has patented KLF technology. You simply adjust the handle back using the grey buttons and a slatter frame in the car seat rises up and moves the baby into a lying position. The slatted frame also ensures even ventilation so that the baby doesn't get hot and sweaty. Babies should lie down in as flat a position as possible, especially soon after their birth. Newborn babies have a particularly sensitive spine and the curved position caused by conventional infant carriers can put great strain on their still soft bones and back. Their bent legs can press on their stomach and lungs, leading to breathing difficulties. A significantly reduced blood oxygen saturation level can quickly ensue. When the car seat first arrived it was super easy to get it up and running. The last thing you want when buying a car seat is a difficult one to fit or adjust, especially if you are full term or have a newborn. 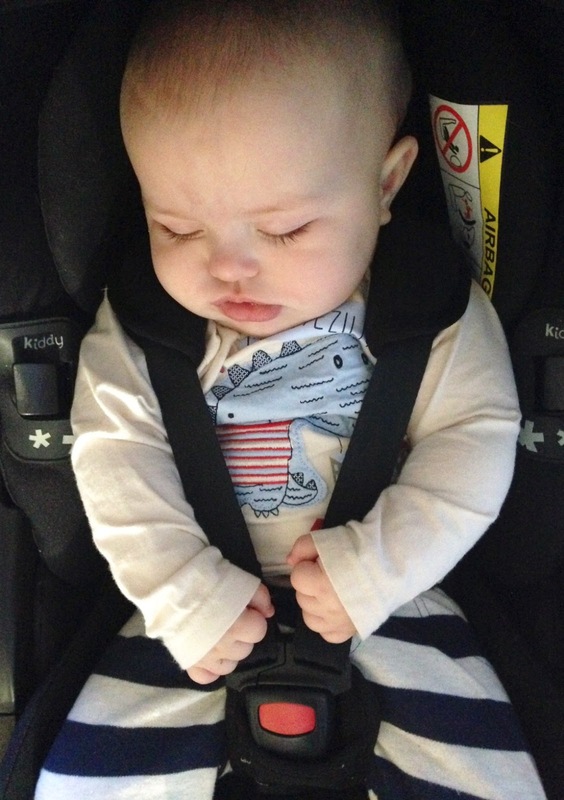 We were very kindly sent the ISO Fix base to use along with the Kiddy evo-lunafix car seat. The base fits into the car using the ISO Fix points. You have to make sure your car is compatable with the base but a lot are. We've never had a base in the car before so it was completely new to us. We've always just used car seats which fit in the car using the traditional seat belt. Let's face it these are a bit of a pain and to be honest, and now we've used a base i wouldn't go back to fitting the car seat in with the seatbelt. I let mark fit the base into the car, mainly because I didn't want to mess it up but it was really easy. He had a read of the instructions and was all set. It took him around 10 minutes altogether. There are green indicators on the base to let you know that it's fitted correctly. With the base, the car seat is very easy to pop in and out of the car. So easy that we've had grandparents shocked and amazed. You literally just pop the car seat on top of the base, it then clicks together and you are done. To release the car seat from the base you pull a little lever on the back of the car seat and it releases from the base. In terms of getting the baby in and out of the car seat that is very easy too. The harness is very easy to use. To simply pop one side on top of the other then clip both into the bottom section. I sometimes struggle with getting Parker out as I find that when you come to take the baby out the car seat tends to tip forward with the weight shift of the baby and then there head touches the top of the car seat. Parker is now almost 8 months so this wasn't as much of a problem when he was younger and smaller. You can use the car seat from birth right up until 13kg which is around 15 months which is great. There is a newborn insert for when the baby is first born to help keep them extra secure and protected. Without the newborn insert the car seat is still super padded and looks very comfy. As I mentioned previously to get the car seat in the laying down position you push the grey buttons on either side and push the handle down. You do need both hands to do this but it is super easy. The movement is very smooth and we haven't had any trouble with it at all. 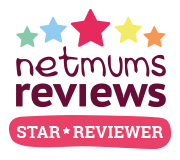 This is super great for car journeys as the baby can lay flat and enjoy the ride more. We travelled over 800 miles on a couple of big journeys and it was lovely to know that Parker was in the perfect position for travelling. We obviously stopped for milk breaks but Parker slept perfectly in the car seat. The one problem I have with the car seat in the laying down position is that it makes the car seat quite long and when in the car I have to have my seat a lot more forward than I would with a regular car seat as Parker is behind me in the car. He can't fit behind Mark as Mark needs his chair further back to he can use the pedals in the car properly. It is definitely something to think about if you have a smaller car. We have a Citroen C3 for reference. The maxi sun roof in the evo-lunafix is one if my favourite features. It is such a lovely big size that it really helps shade and protect Parker from the sun. It's easily adjustable and works well. You can also remove it very easily. 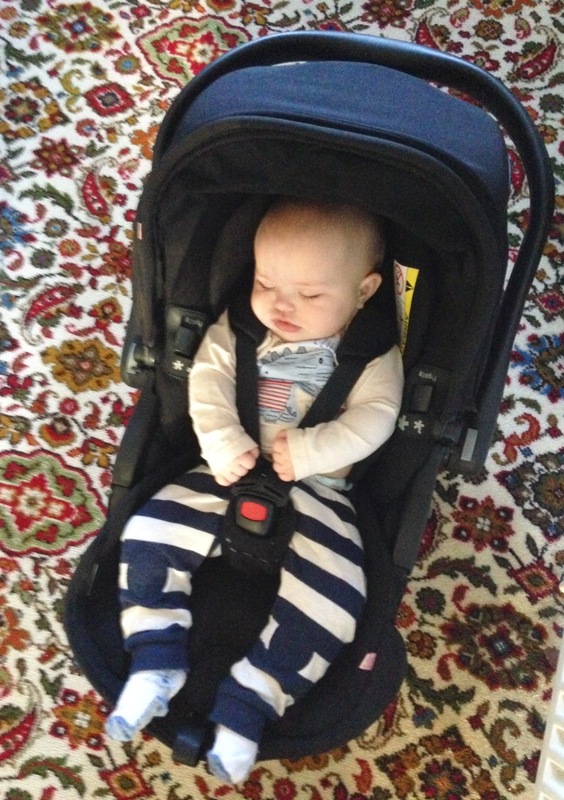 The car seat seat can also be used as part of a travel system. We were sent the Kiddy City n Move Stroller so we could test out the car seat in the travel system form. 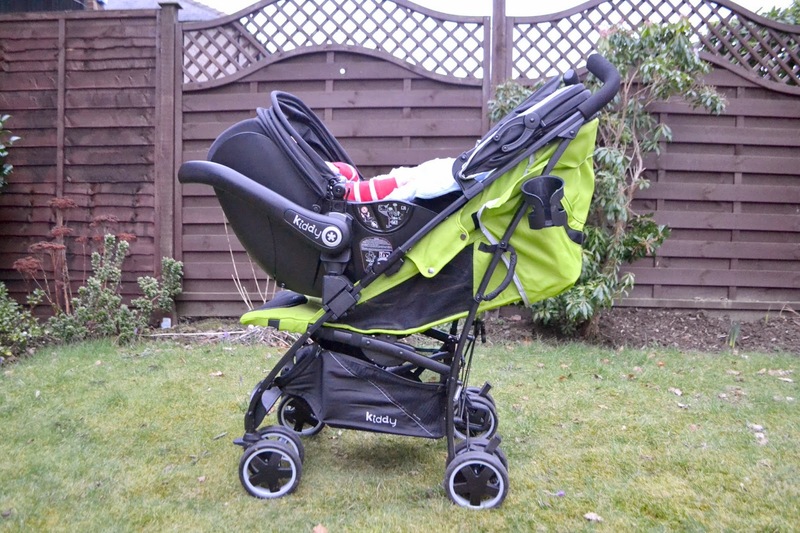 The car seat does attach to various other strollers to make a travel system and these can be viewed on the Kiddy website. To attach the car seat to the stroller you need to use the attachments. These attachments work well and are easy to use. I find attaching the car seat a little bit of a problem. Mostly because with Parker in the car seat I find it quite heavy to lift him and make sure both sides of the car seat attachments will fit into the holes on the stroller. I feel like I'm not quite big enough to do both things but it works well together. You do need to put extra attachments on the stroller first before you can clip the car seat on, so you need attachments on the car seat and on the stroller. Honestly I find both attachments a bit of a pain. The car seat attachments tends to fall out the car seat and we have lost one of them before. The stroller attachments are annoying because you can't fold the stroller down with the attachments on. I feel like this would be a good improvement to make just to make life easier. 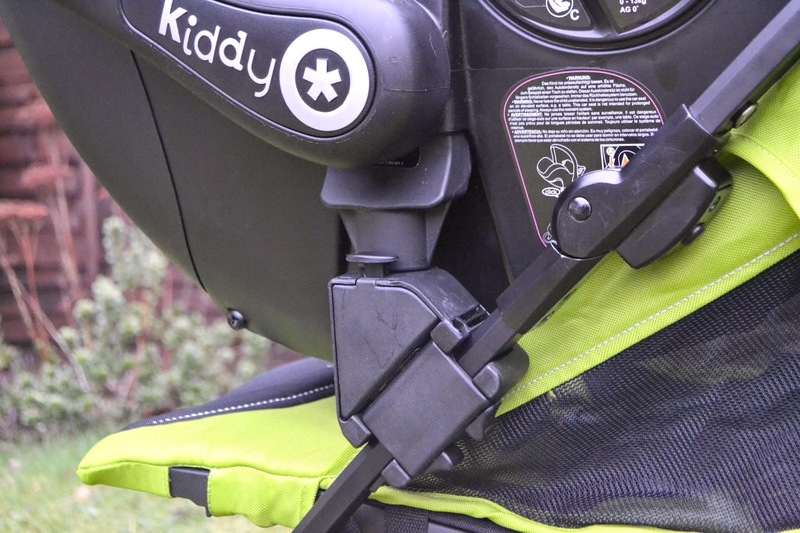 To place the car seat on the stroller you have to have the seat in a laying down position which is super easy to adjust just by pulling a little lever. 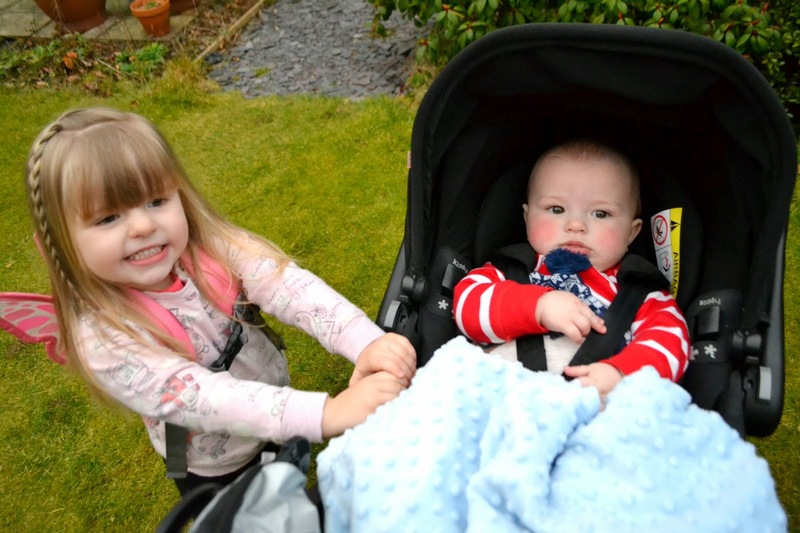 Once the car seat is attached to the stroller it is lovely to use as part of the travel system. I've only ever used car seats that attach to the base of the pram without having a seat still attached. I didn't think I'd like it but I actually do. I love that Parker is super high up and very easily accessible. With the laying down option for the car seat you can again adjust the seat to the laying down position while on the stroller and baby can happily sleep. With the ease of getting it in and out the car and on the stroller it means that the baby doesn't wake in between. Many times we've gone to the shops and Parker has fallen asleep in the car, we've simply popped the car seat into the stroller and off we've gone to do the shopping. When we've finished we popped him back onto the base and he hasn't woken. Meaning a stress free trip for us and a good quality sleep for Parker. To take the car seat off the stroller you simply push down on two black buttons and it pulls right off. The car seat can also be used as a rocker. If it is laid on the floor in the laying down position you can gentle rock the car seat. This is perfect for when you are visiting people houses and are trying to calm a baby or get them off to sleep. Overall we really love this car seat. Id recommend it to anyone and prefer it over others we have used before. I do find it a bit big when its in the laying down position but I tend to find car seats big anyway and always struggle to carry them with the baby in. When did you remove the infant insert? The manufacturer recommends up to 6 months, but I doubt he'd still fit in by then!